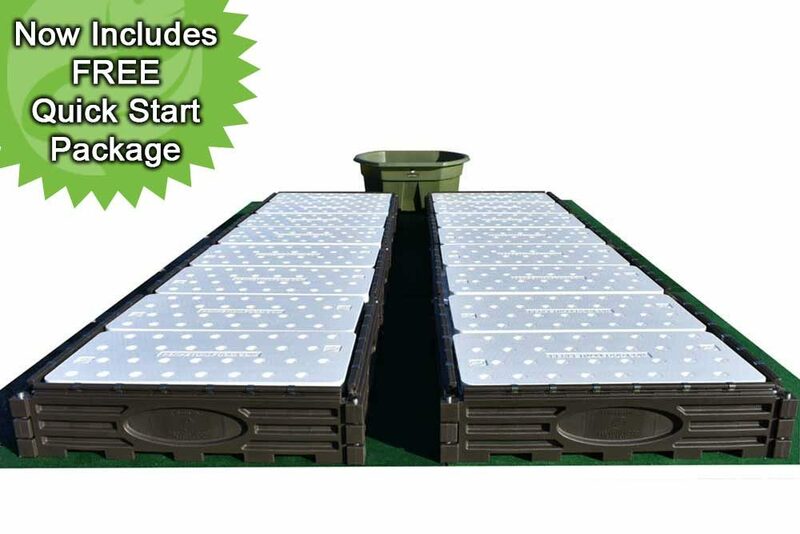 Our 8Ft Aquaponics Kit features 32 Sq Ft of Growing Area can grow approximately 192 plants. 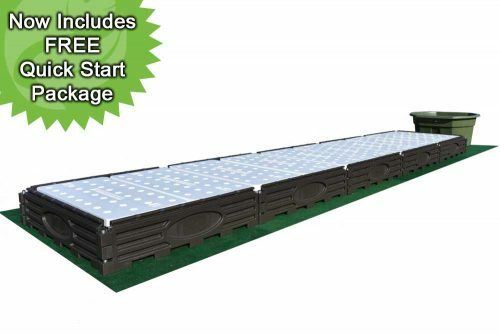 Includes All necessary parts – Just add fish and plants. 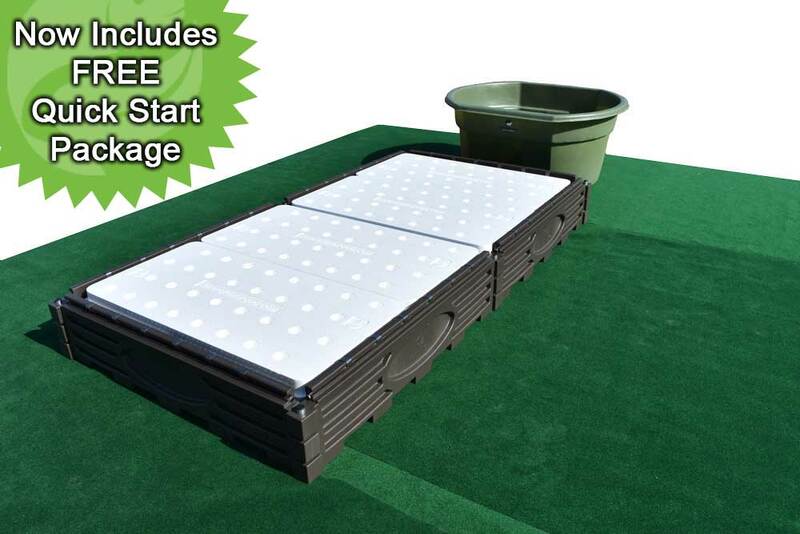 Our smallest Simple Raft System™ features 8 Ft by 4 Ft growing trough and a 155 gallon fish tank. Just add fish and plants. Ideal for an individual or couple. Plant Locations: 192. Time Input: 15 minutes / day.